With a flick of your wrist, you can be back in the islands wearing this carefree bangle from Tacori's Island Rains collection. 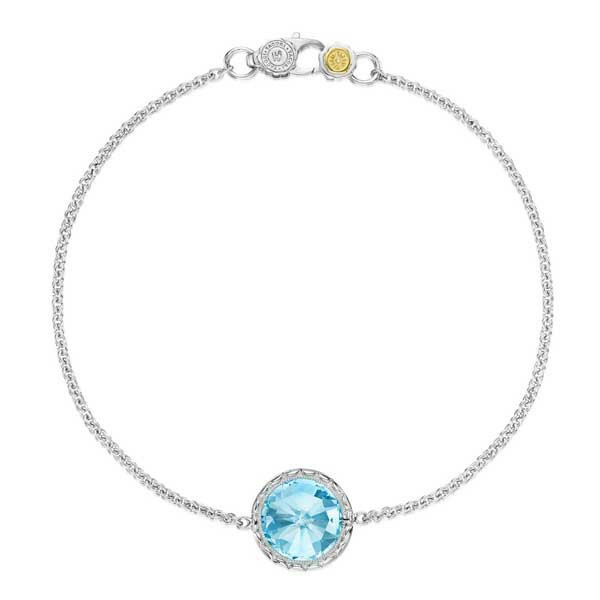 The thin sterling silver strand hosts a gorgeous sky blue topaz station that drops an ethereal dot of blue into your style, and a sturdy lobster clasp will keep this piece in place. Enjoy the casual island vibe of this inviting John Hardy bracelet.